Is there any other industry that is as fast-paced as mobile app development? 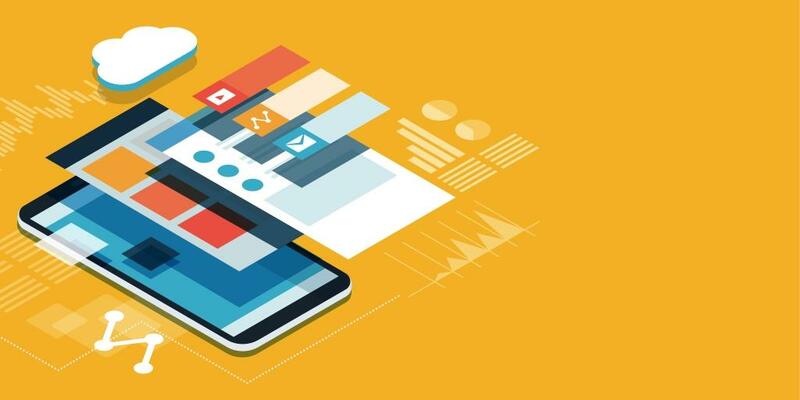 With technology progressing at a rapid pace, it is only natural that the industry moves with it, and so we are seeing new trends in mobile app development all of the time. Below, we are going to take a look at some of the most common trends in further detail. There is only one place to start, and this is with the increased personalization of mobile applications. This is not a new trend per-see, but it is something that is gaining more and more momentum. Research has concluded that employees can do their jobs with greater ease if they have the ability to access work remotely from their mobile. Therefore, apps are being personalized to suit the needs of individual workers, with more and more businesses are investing in mobile apps that have been customized and scaled to suit their needs. There is undoubtedly going to be more and more investment in mobile security as the year goes on. Businesses are willing to pay more money to keep their confidential information and data safe, as they are aware of how serious the threat of a data breach is. Developers need to work on ensuring they have solid security practices in place if they are to attract clients. Remember, it’s not just your own security you need to consider but all of the third parties you use as well. The best example of this is when looking for low cost VPS. While cost is vital when determining where to host your website and app, high levels of security are a necessity. A lot of experts have predicted that we will see a lot of companies merge or be acquired over the coming years. This is because, at present, there are a large number of point vendors that supply software that addresses various sections of development. The industry needs to move to a stage whereby there are fewer vendors that provide platforms of a high quality, which are more robust. This is good news for enterprises, as it means that they are going to be able to get everything they need for an effective and attractive application in the one place. Wearable devices have really taken off over the past few years, from fitness devices to smartwatches. These devices connect with mobile applications in order to enhance the experience provided. This is a key area of focus for developers, as they work on improving the integration of wearable tech with mobile devices. They need to improve the performance and interfaces of these applications in order to grow the market for wearable technology. As IoT takes off, enterprises are going to be faced with the challenge of locating elegant solutions that enable them to visualize extensive sets of complicated data. They are going to need solutions that organize all incoming data from connected devices so that the enterprise can make quick decisions to ensure they remain competitive. So, there you have it, five of the key trends you need to be aware of in regards to mobile application development. You can definitely expect to see these trends develop as the year continues, and, undoubtedly, there will be more new trends to ponder over as we approach 2019.